Pakistan denied consular access to Indian businessman and former Indian naval officer Kulbhushan Jadhav for the 18th time on Sunday, reported India Today. While denying access, Pakistan blamed India for funding terrorism, adding that the question of granting access is out of question, according to the report. Pakistan also said that it was "travesty of logic" to link the case of Kulbhushan Jadhav with civilian prisoners. "Indian attempt to equate Commander Jadhav's case with civilian prisoners and fishermen is a travesty of logic," the Foreign Office said in a statement. The FO remarks came a day after the two countries exchanged a list of prisoners lodged in each other's jails. According to the list Pakistan shared with India, at least 546 Indian nationals, including nearly 500 fishermen, are languishing in jails in that country. 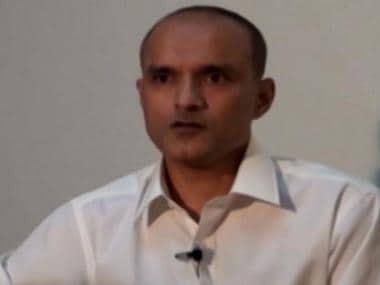 "Commander Jadhav is a serving Indian Naval officer and sent to Pakistan by its intelligence agency RAW for espionage, terrorism and subversive activities which resulted in loss of many innocent lives and damage to property," the Foreign Office said. India on Saturday once again sought consular access to Jadhav, who was sentenced to death by a Pakistani military court on alleged espionage charges, and Hamid Nehal Ansari, an Indian engineer and businessman who was sentenced to three years in jail for entering Pakistan. "India again requested Pakistan to grant full and early consular access to the Indian nationals lodged in the custody of Pakistan, including Hamid Nehal Ansari and Kulbhushan Jadhav," the external affairs ministry said in a statement. "India once again requests Pakistan for the early release and repatriation of Indian prisoners, missing Indian defence personnel and fishermen along with their boats whose nationality has been confirmed by India," it stated. Jadhav was allegedly arrested from Pakistan's restive Balochistan province on 3 March, 2016. Pakistan claimed that the former Indian Navy officer confessed in a video that he was involved in spying and terror activities in Balochistan, a charge rejected by India. 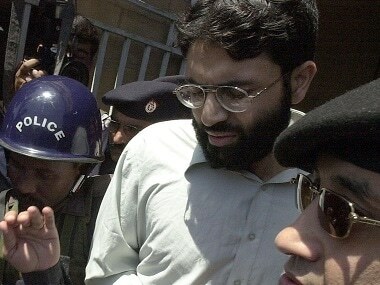 He was convicted in April by a Pakistani military court and sentenced to death. In May, India moved the International Court of Justice at The Hague, which stayed the execution pending a final decision by the court.